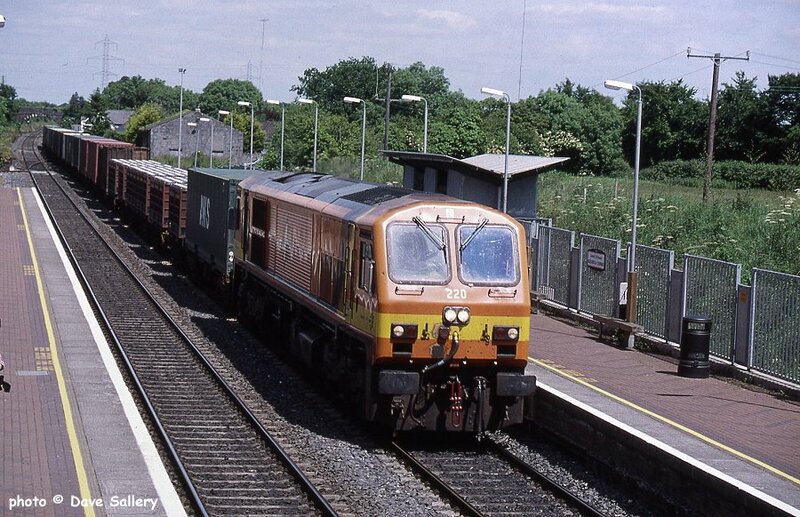 220 passes Hazelhatch between Dublin and Kildare on a container train, 17 June 1999. 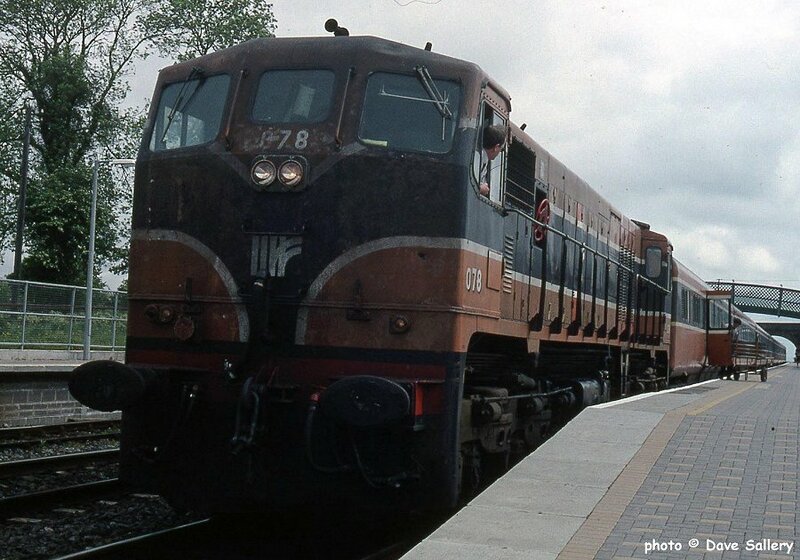 078 at Kildare on a Galway train, 2 June 1994. 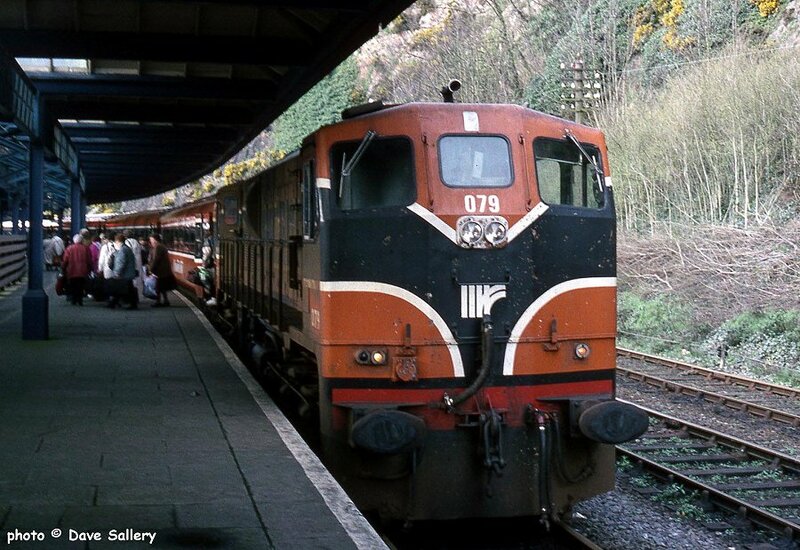 080 on a Dublin train, 2 June 1994. 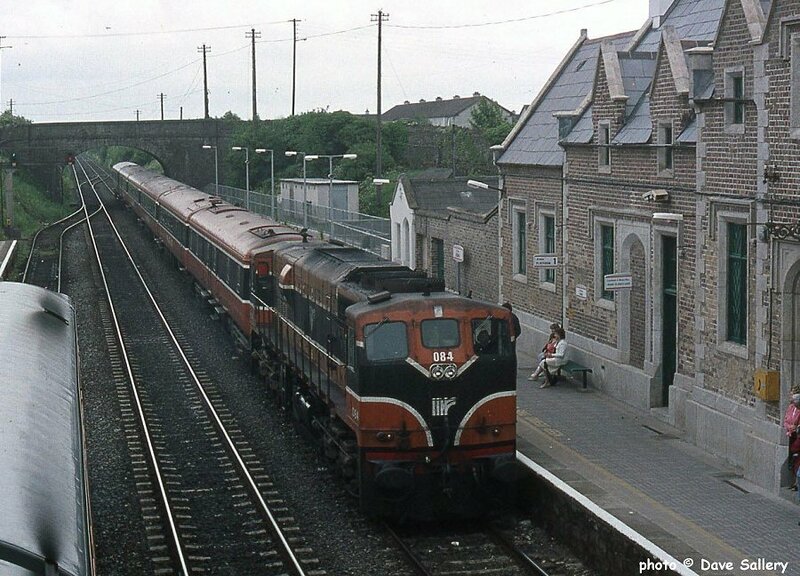 084 enters Kildare station from Dublin, 2 June 1994. 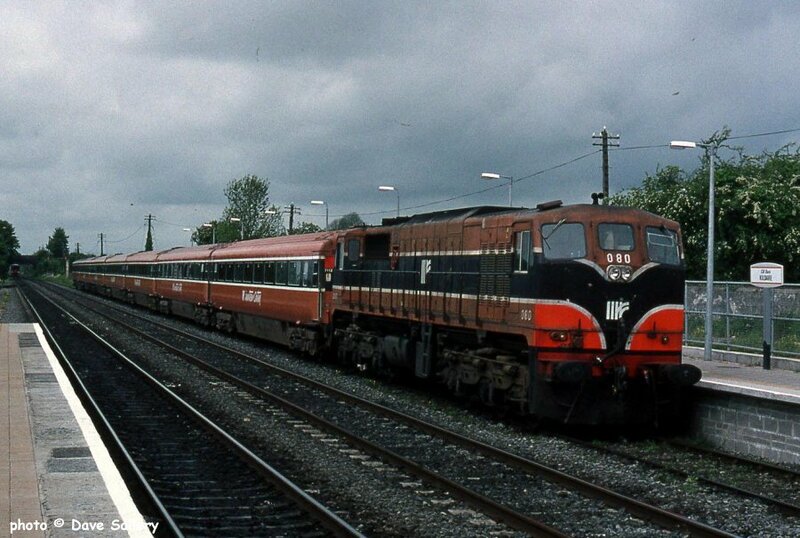 079 runs round its train in Kilkenny, 11 March 1994. 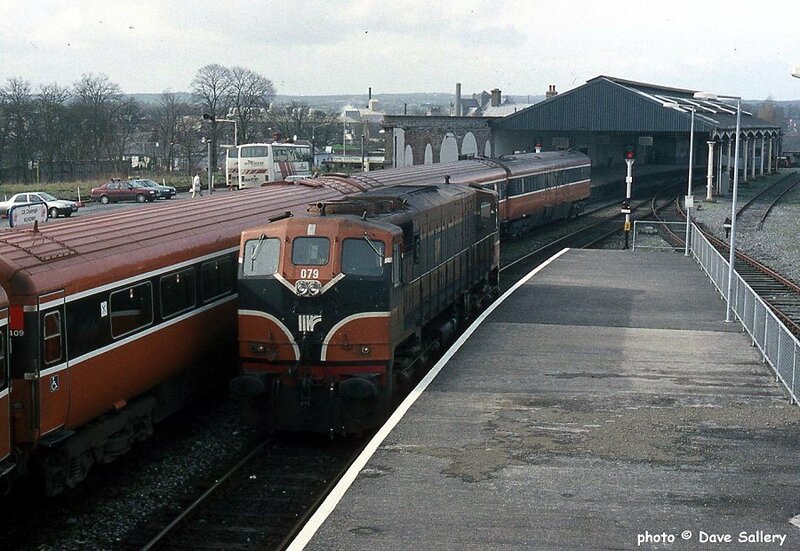 Arrival in Waterford, 11 March 1994. 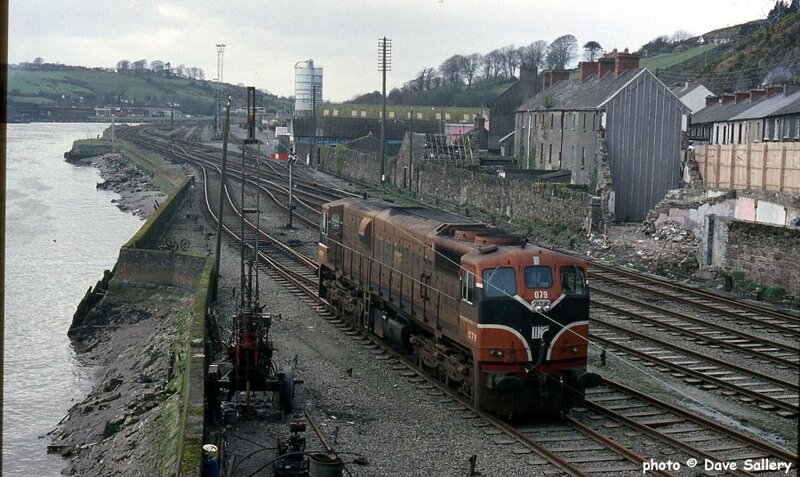 079 at Waterford, 11 March 1994. 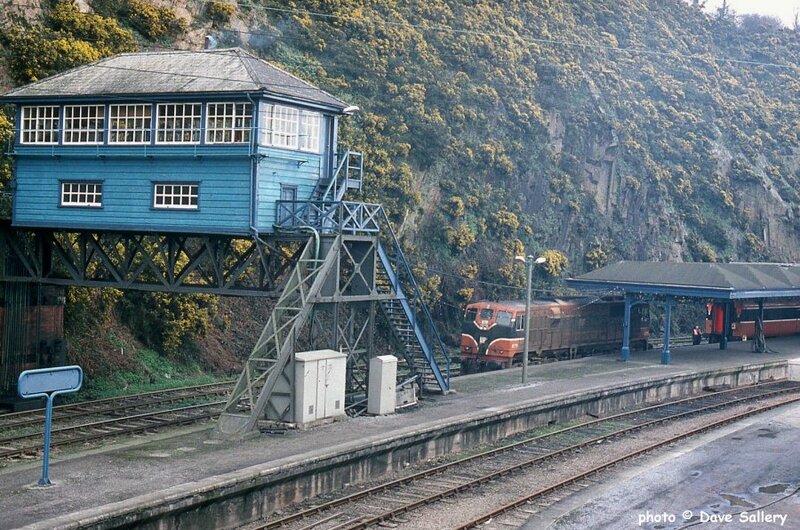 The impressive elevated signal box in Waterford, 11 March 1994.